Using our unique modular system, estate agents can chose which of our services are suited to their individual business model requirements. Our 30 day rolling agreement lets agents choose between what modules are needed for their estate agency department without being committed to any package long term. All of our modules are effortlessly integrated, giving businesses the opportunity to concentrate and maximise the potential of their estate agency management & marketing services… the things that truly matter to clients. Our cloud based estate agency system provides your staff with the facility to input and manage all their estate agency data securely online. All key details like notes of interest, offers, appointments and viewings are recorded alongside your property for sale information providing easy access to manage all estate agency enquiries. Our property search technology allows estate agents to integrate selected property related information to their own company website. 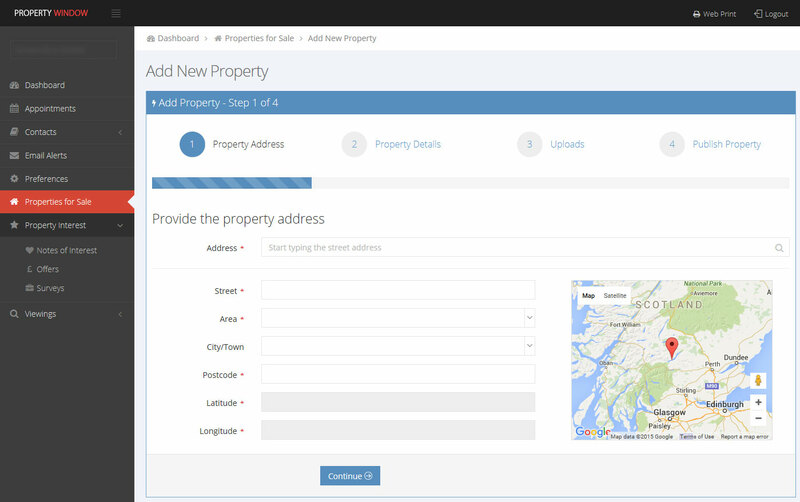 Coupled with a slick and powerful property search engine so that visitors can find the type of property they are interested in faster. 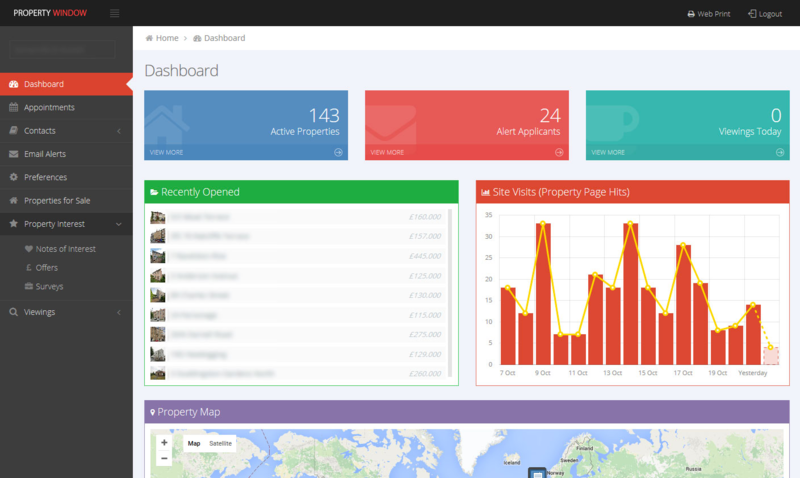 All property sales data displayed on your website will be managed through your online estate agency system too. Included in our property search technology are various additional tools like property alerts, Google Map search, individual property stats and a 'Property of the Month' feature which are all integrated within your online estate agency system. Our letting module provides agents with the tools to market and manage letting properties with the ability to display your properties to let on your own company website. By using our Web Print module, estate agency staff will be able to create comprehensive property schedules & brochures with our unique user-friendly online interface. Not only is our system easy to use but it also provides flexibility in altering brochures to fit the property you are marketing. What's even more impressive is that our system is tied into a well-established local digital printing company. Simply stipulate how many brochures you need, click OK and your self-prepared brochures will be sent to print with a very quick turn around and at a very reasonable cost. Uploading to multiple websites is not only time consuming for staff but keeping property data accurate across the board can also be a job within itself. Fortunately with Property Window's data feed module, any data keyed to your system will automatically be uploaded and updated to any of the key property portals of your choice (including Right Move, Zoopla and local property centres) on a daily basis. This service is not only a time saver for staff members, it also provides transparency and assurance that whatever website your properties are advertised on they will all show the same information that you uploaded to your own estate agency system.